A photographic animation project exploring peoples situations in spaces they relate to. In some ways the project explores the photographic process of the portrait but works on an extended level, which is the time-based quality presenting a situation where movements of the individual within time and space are reflected. 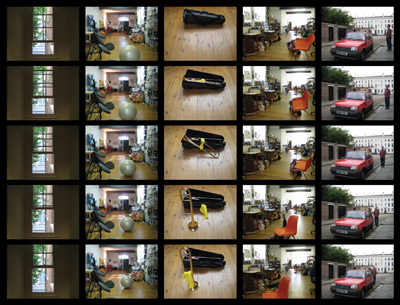 fragments of time-based photographic interventions are linked up to create a map or collage of performative sequences. many thanks to all the performers.